Item # 306456 Stash Points: 1,997 (?) This is the number of points you get in The Zumiez Stash for purchasing this item. Stash points are redeemable for exclusive rewards only available to Zumiez Stash members. To redeem your points check out the rewards catalog on thestash.zumiez.com. 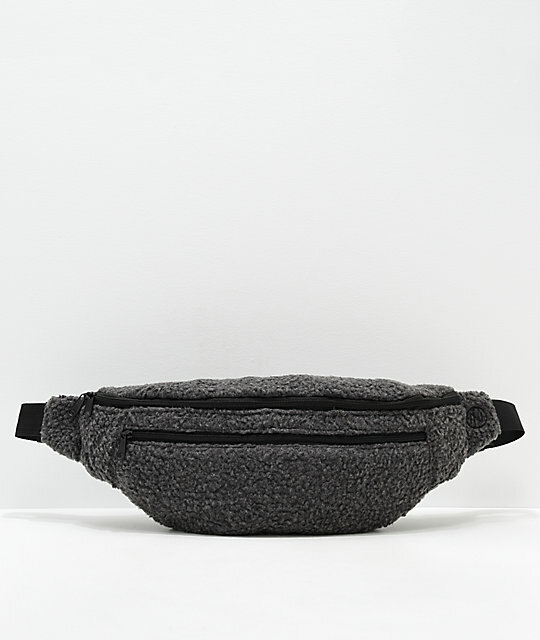 Pick up an accessory that shows off your bold style with the Natural Bolsabag Fanny Pack from Ninth Hall. This large fanny pack can be worn crossbody or around the waist. 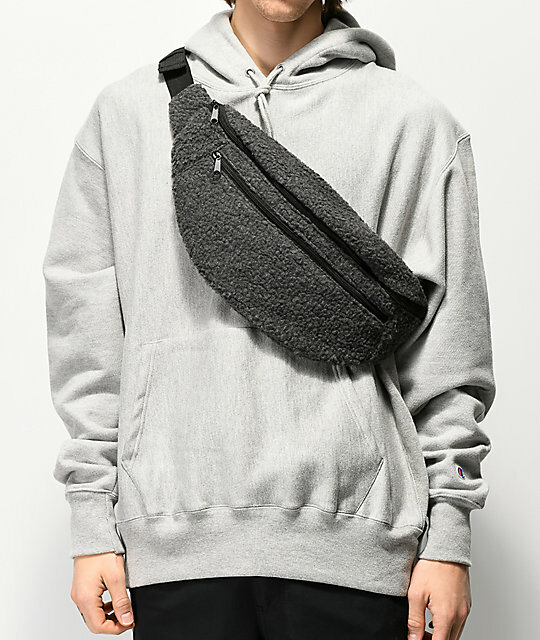 It's grey, sherpa construction offers up a unique look, while the large main compartment and two additional external compartments are added for a functional bag that you won't want to leave home without. 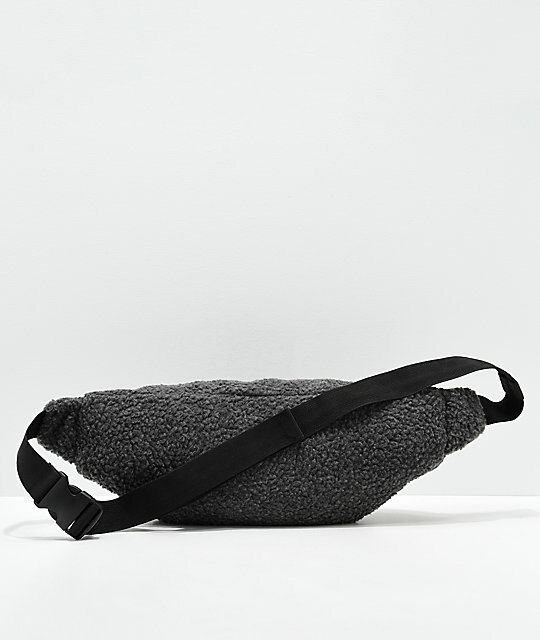 Natural Bolsabag Fanny Pack from Ninth Hall. Main compartment with internal zippered pouch. Adjustable strap with hidden zippered pouch and embroidered Ninth Hall logo emblem. Can be worn on hip or across body. 17" L x 5.5" H x 4" D | 43cm x 14cm x 10cm.